Tucked in the Livermore, CA hills at Wente Vineyards, this couple planned a wedding close to nature. 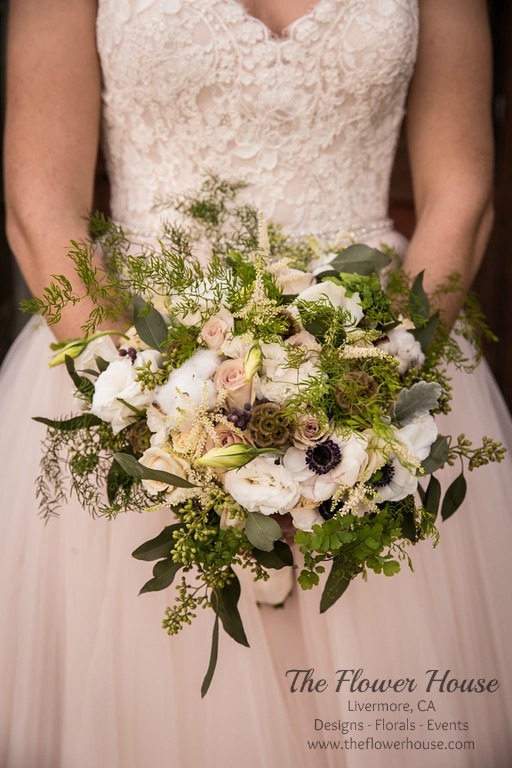 The bride carried a loose white and green bouquet full of anemones, berries, pods, roses, cotton, and eucalyptus. She was married under a woodsy altar designed using berries, sticks, ferns, and cotton. 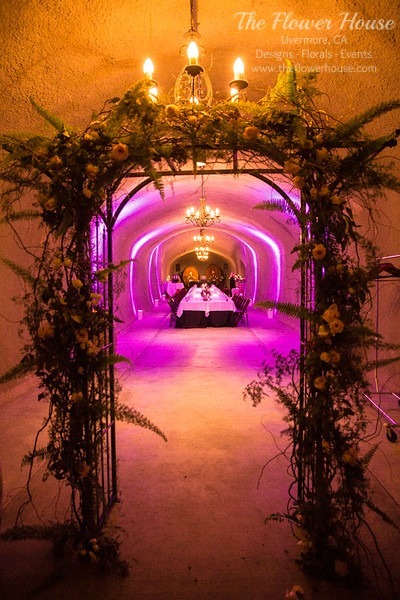 The wedding reception was in the Wente caves to create a warm-cozy winter ambiance. As guests entered the caves they walked under the relocated ceremony altar. The walls of the cave were warmed by a deep purple uplighting. 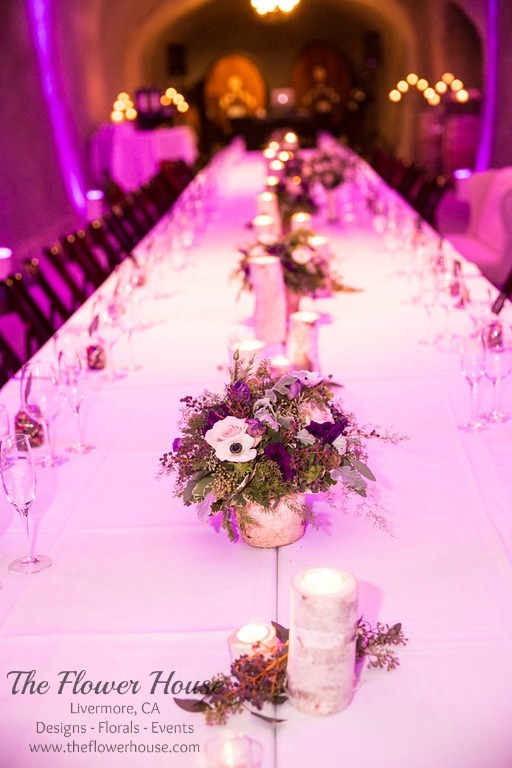 To match the walls were purple centerpieces resting in birch containers.